Europol and Israel signed a working arrangement to expand their cooperation in combatting cross-border criminal activities. 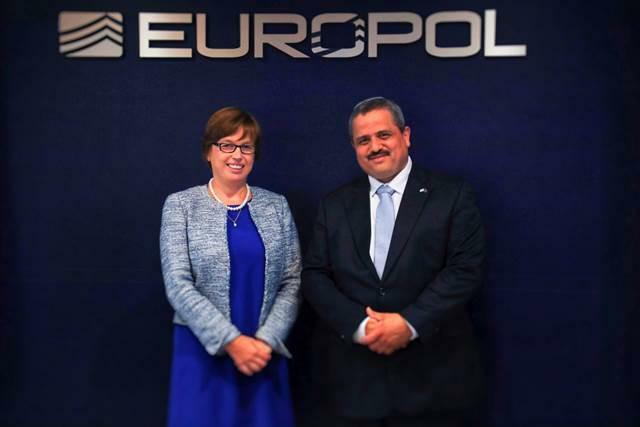 Israel’s National Police Commissioner, Inspector General Ronen Alsheich and Europol’s Executive Director, Catherine De Bolle, today signed a working arrangement to expand cooperation to combat cross-border criminal activity. Aware of the urgent problems arising from international cross-border organised crime, the agreement allows for the exchange of strategic information and the joint planning of operational activities. The signature concludes successful negotiations between Europol and Israel on how to effectively join forces to fight serious and organised crime. After entry into force of the agreement, this new level of cooperation will be important for tackling priority crime areas affecting both the European Union (EU) and Israel, such as fraud, cybercrime and terrorism. Investigations in the EU have occasionally established links to Israel in the field of financial crime. As Europol supports EU Member States in identifying cross-border links, the Israeli contribution in such cases continues to be of utmost importance. Catherine De Bolle, Executive Director of Europol, said: "Today, I am signing the first ever Europol working arrangement between Europol and a non-EU country. These provisions were introduced last year in the Europol legislation. It is a major step forward in enhancing the relationship between Europol and Israel. The arrangement will multiply contacts at all levels and open doors to closer cooperation, making the European Union and Israel safer." Inspector General Ronen Alsheich said: "The agreement will enable the Investigations and Intelligence Division of the Israel　National Police to advance its capabilities to deal in the best way possible with new threats in the field of organized crime, cybercrime exploited by international criminal and terrorist elements, fighting terrorism in its various forms, and crime that crosses borders in the field of social economies."